Here is one of my favourite Qigong movements. 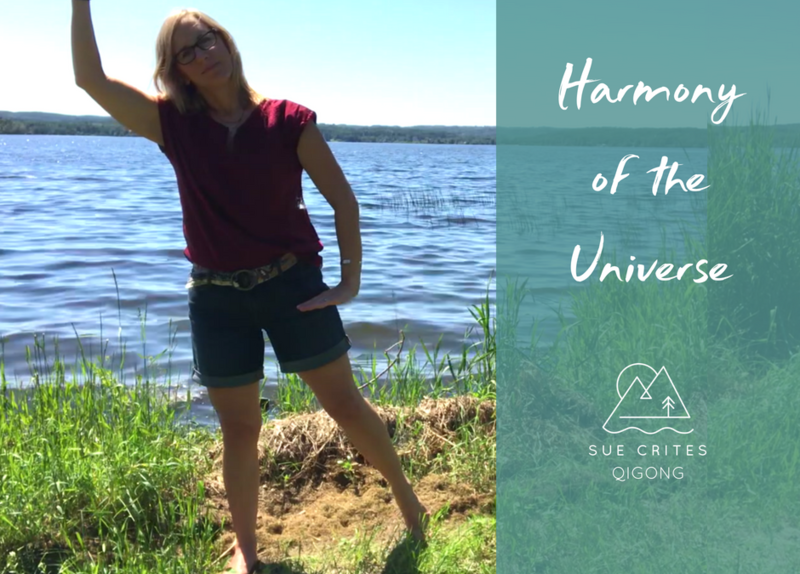 Harmony of the Universe is a Spring Forest Qigong Movement (created by Master Chunyi Lin). This movement brings about a great sense of peace and balance within me. It is good for balancing the left and right brain, for enhancing your spiritual connection, and for helping alleviate pain or blockages in the lungs, breasts, liver, spine, hips, and lower back. This movement also helps improve balance. If you practice this movement for 10 minutes each day, you will notice an improvement in your health, overall balance, and mood. Enjoy!